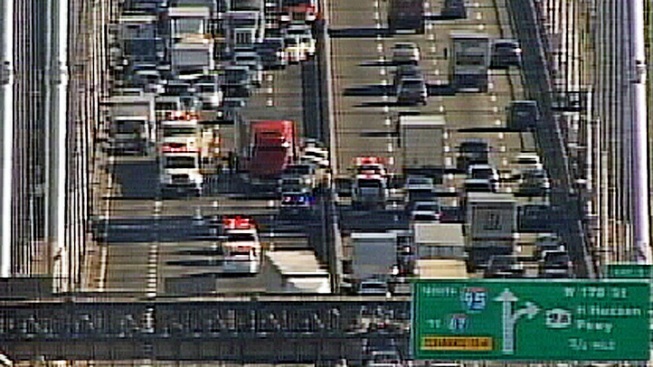 A serious accident on the George Washington Bridge is causing major traffic delays. All New Jersey-bound lanes were closed after the serious crash involving a tractor-trailer and at least two other cars on the upper level. One lane on the New York-bound side was also blocked by police activity. By 2 p.m., all lanes reopened but there were still heavy delays.